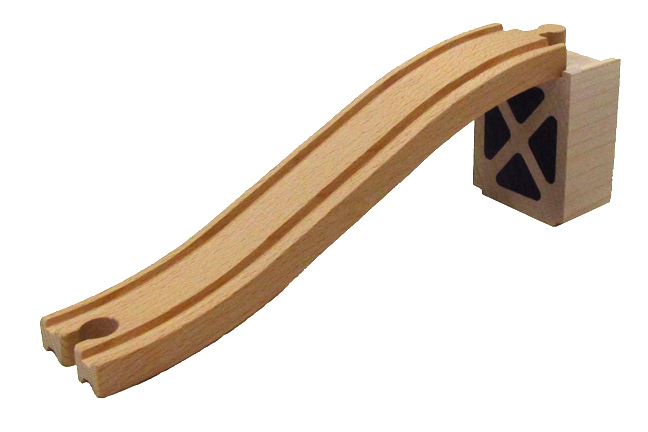 Ascending Wooden Track 8" long. (Support block sold separate) Take your layout to multiple levels and expand on the wooden track collection you already have. Grooves on both sides. Can be flipped over and end for end to change genders.